Peter Lang Inc., International Academic Publi, 9780820467696, 356pp. Baba Yaga is a well-known witch from the folklore tradition of Russia, Ukraine, and Belarus. A fascinating and colorful character, she resembles witches of other traditions but is in many ways unique. Living in the forest in a hut that stands and moves on chicken legs, she travels in a mortar with a pestle and sweeps away her tracks with a broom. In some tales she tries to harm the protagonist, while in others she is helpful. 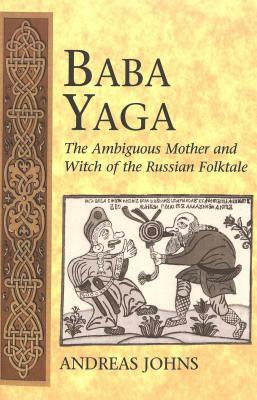 This book investigates the image and ambiguity of Baba Yaga in detail and considers the meanings she has for East Slavic culture. Providing a broad survey of folktales and other sources, it is the most thorough study of Baba Yaga yet published and will be of interest to students of anthropology, comparative literature, folklore, and Slavic and East European studies. The Author: Andreas Johns received his Ph.D. in Slavic languages and literatures from the University of California, Berkeley. He has taught at both the University of California Berkeley and Santa Cruz campuses as well as at the University of Washington, Seattle.